Driver's license suspensions are difficult for all drivers and can be a tremendous burden. The GOOD NEWS is that they can often be avoided. In Georgia, a driver’s license can be suspended for any number of reasons which most drivers are unaware of. This is especially true for drivers under the age of 21 and 18. However, if you are a licensed Georgia driver, regardless of your age, you should NEVER pay a fine or plead guilty to any charge without first consulting an experienced Georgia traffic lawyer. Consulting with an attorney first could be the difference in protecting your rights or having your license suspended. Drivers under the age of 21 need to be aware of the consequences a simple speeding ticket can have on their ability to maintain a valid driver’s license in Georgia. The following is a breakdown of these consequences depending on a driver’s age. A Georgia speeding ticket can potentially affect a drivers motor vehicle report and insurance rates. A local Hall County, Georgia Traffic Ticket Attorney can help! If you are under 18 years of age, an accumulation of 4 (either multiple violations that add up to 4 points or more, or a single 4 point violation) or more points within a twelve month period will result in a suspension of your Georgia driver’s license. Georgia drivers who are under the age of 18 face the strictest license suspension penalties. Drivers under 18 will have their license suspended if they accumulate 4 points within a 12 month period under Georgia’s driver’s license point system. The accumulation of 4 points can be a combination of any 2 point or 3 point violations. For example, some speeding violations are two point violations. If a driver under 18 receives two speeding tickets worth 2 points each within 12 months, her license will be suspended. Once a driver accumulates 4 points, her license will be suspended for at least 6 months. During that time, the driver will NOT be eligible to have her license reinstated or to apply for a temporary permit. At the end of the suspension period, a driver under the age of 18 will be required to complete a certified Defensive Driving class, retake the Georgia driving exam, and pay a reinstatement fee in order to have to have her license reinstated in Georgia. If you are 18 years of age but under 21, any single violation of 4 or more points will result in a suspension of your Georgia driver’s license. Georgia Drivers who are 18 years old but less than 21 are not subject to the same penalties as those under 18. Certain violations can still result in an automatic suspension. Georgia drivers who are 18 to 20 years old will have their license suspended if they accumulate 16 points within a 24 month period. HOWEVER, if a driver 18 to 20 is convicted of any single offense that is worth 4 points or more, her license will be suspended. The following is a list of some traffic violations and their point values. 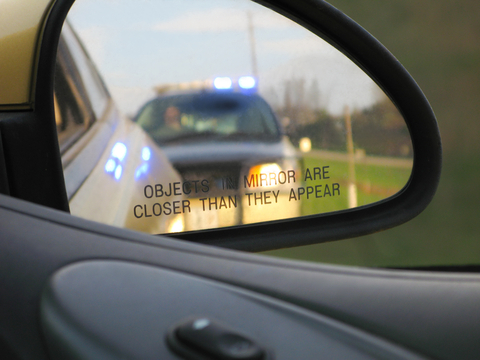 Having your license suspended can be a devastating experience. For young drivers, the suspension is not only a burden on them. It often becomes a burden on their parents. Regardless of your age, you should always consult with an attorney if you have been issued a ticket for a traffic violation. If you are a young driver, NEVER pay a fine or plead guilty without seeking the advice of a lawyer. If you are facing a charge that could result in a license suspension in North Georgia or Hall County, you should consider consulting a lawyer that is knowledgeable in the field. This helps to provide that best possible defenses and make the more well informed decisions regarding your rights and options when considering how best to maintain your driver’s license and avoid suspension.